I AM FUEL, YOU ARE FRIENDS: Celebrate the Damnwells' Air Stereo release anniversary with old demos & new album news! Celebrate the Damnwells' Air Stereo release anniversary with old demos & new album news! 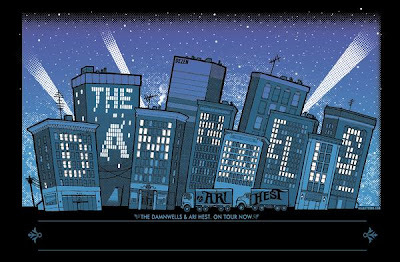 I am deeply in love with the music of The Damnwells now more than ever. I've been on a kick lately, and as far as I reach in, they meet me there with their music. As my friend Scott wrote, "[Lead singer/songwriter Alex] Dezen uses the pen like a rapier to carve little bits out of your heart and soul." Yesterday marked one year since Air Stereo (2006, Rounder Records) was unleashed upon us unworthy masses, and if you don't own it yet, why not? Why, oh why not. I discovered this in 2007, so it doesn't get to go into my top list of the year that I'll put out this Deccember, but that's just a technicality. This is undoubtedly one of the best albums of my year, one I've listened to the most, sang my lungs out to in the car, and spent time alone with on my iPod. The great news this week is that Alex has revealed some juicy details of work commencing on a new album. 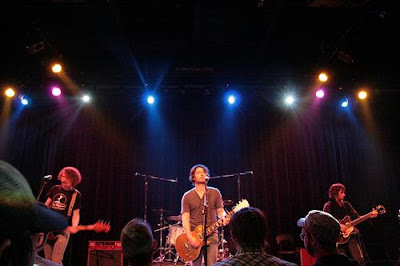 He writes, "The Damnwells will be going back into the studio before the end of this year to record a new record. I'm thinking a self titled affair. Really, when you consider all the pressure and nonsense—both existential and metaphoric—we always had to deal with every time we went into the studio, this will be the first Damnwells record we will ever be able to just make. 'No pressure,' Paul, our A&R guy at Rounder says. 'Make the record you want to make.' What a crazy idea! Not like we were ever making anyone else's records, but there was always compromise. Where art and commerce meet, there has to be. Your mixed-medium, six foot canvas doesn't fit in the six by three inch display case at Wal-Mart, and no amount of dieting or exercise is ever gonna fit your square peg in that round hole. Compromise is a part of life—at least the kind that includes a roof over your head and food on the table. So now that we're supposed to make this record, the one we want to make, without the pressure and nonsense, I think I may be feeling a little Stockholm syndrome coming on. How the hell am I supposed to do that? In the spirit of Damnwells love, I've unearthed some more demos from their early days and they are heartbreaking, insanely good, wrenching, melodic -- some of the best stuff I've heard in months. I love the ferocious romanticism of The Damnwells, and that's a kind of romanticism that can be manly too (not talking like bubble bath romantic, more like bleeding out in the backcountry following your dream romantic). Information about these is incredibly scant, and my normal methods of reconaissance are failing me. If you can confirm anything else about these demos, I'd love to hear it. Far as I can tell, these are mostly demos for the PMR (Poor Man's Record) + 1 EP, which you can still buy over at CD Baby. There are two demos from the Heart Hazard EP which was a self-produced, hand-stamped job that I can't find a trail on either. Damnwells will be playing Bumbershoot in Seattle on Labor Day weekend. Wanna go? I absolutely love your Damnwells posts. I happened upon them last year and ever since I was hooked. Thanks for these! Damnwells in Seattle w/ Heather? Sure, I'm in. Hell, I'd go see Bryan Adams if it was combined with Seattle and Heather! When do we leave? Big fan of your blog. Thanks for sharing the Damnwells with me, can't thank you enough. Oh, please check the 2nd to last song, it has the same path as the Telephone song....see you in Seattle. They self-released The Damnwells EP, selling it off the stage and through select retail stores, before recording PMR and releasing it. Selling several thousand.In Music We Trust soon re-released PMR with a bonus track, re-christening the record, PMR + 1.
they had hundreds of songs and 30-40 recorded. A bunch of the songs were recorded during the same sessions as PMR + 1. Very cool. 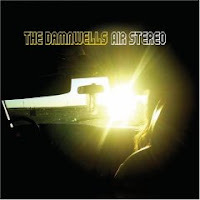 I discovered the Damnwells last year and really love Air Stereo. Alex is the brother of a female singer/songwriter here in Houston and her husband (Alex's brother in law) has been on the road with the Damnwells as their drummer this year. Thanks, Anon, for pointing out the bad link. It's fixed now. thank you for dropping the damnwells on me. i am a leaver, about 17 times today. friends all over the uk, usa and the great white north up here all blistering around their abodes as we speak. fuel.... a big fat full-O-life thanks. Thank you so much for the Damnwells love and the demos, amazing. 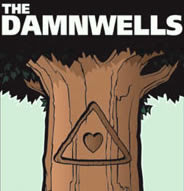 I'm a huge Damnwells supporter, probably the best American rocknroll band around right now. Keep the posts on them coming.